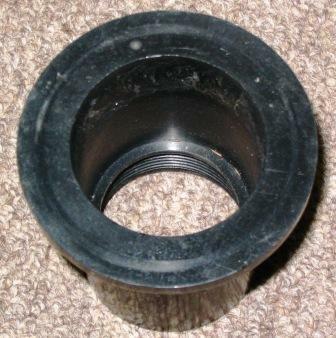 This adapter is used to connect the Aquascape AquaSurge Pumps 2000, 2500, 3000, 4000, & 5000 to a 2" Check Valve Assembly that is used in a Signature Series Skimmer (flat front and rounded sides and back). The Aquasurge 7000 has a 2" discharge and this adapter is not required. This adapter does not require and glueing!